Item Nr: B 96721 Title: Social Thinking At Work: Why Should I Care? 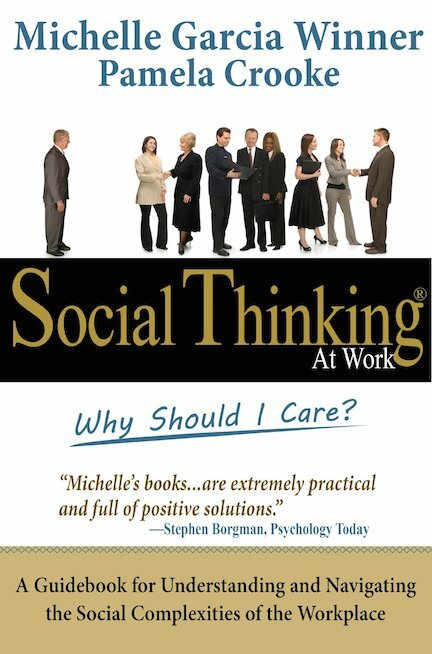 Describes the inner workings of the social mind in the workplace and decode the hidden rules of the social world by explaining how we think about our own, as well as other people's thoughts and emotions. The process is complex and it requires social multitasking or Social Thinking to successfully navigate the nuances and different mindsets of others, especially people we may perceive as being difficult to work with. Social cognition.